ECM College is now English Studio Dublin. Same great service but now part of a larger group with a sister school in London. In January 2016 ECM College became part of The Real Experience Group, a leading provider of educational travel. As part of this move ECM College joined with the Group’s existing English Studio brand to become English Studio Dublin. 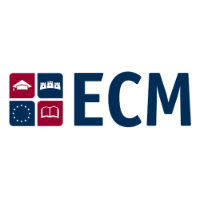 ECM College was founded in 2010 and quickly expanded to become one of Ireland’s leading QQI/ACELS accredited providers of English language training courses. Now rebranded as English Studio Dublin the school will continue to operate from its Dublin premises and build on the 1,200 foreign students that come to study with us in Ireland every year. You can expect to see all the same great team running the school and delivering the high quality teaching and fun environment that sets us apart from everyone else. We’re happy to answer any questions you may have about this change so if you’d like to talk to us then just contact us.